The New Create an Oasis with Grey Water (book) describes how you can save water and relieve strain on your septic tank (or sewer) by irrigating with reused wash water. Learn how to choose, build and use greywater systems for any need, from simple laundry-only systems for droughts, to greywatered solar greenhouses, to systems that divert greywater permanently and completely from the septic or sewer. 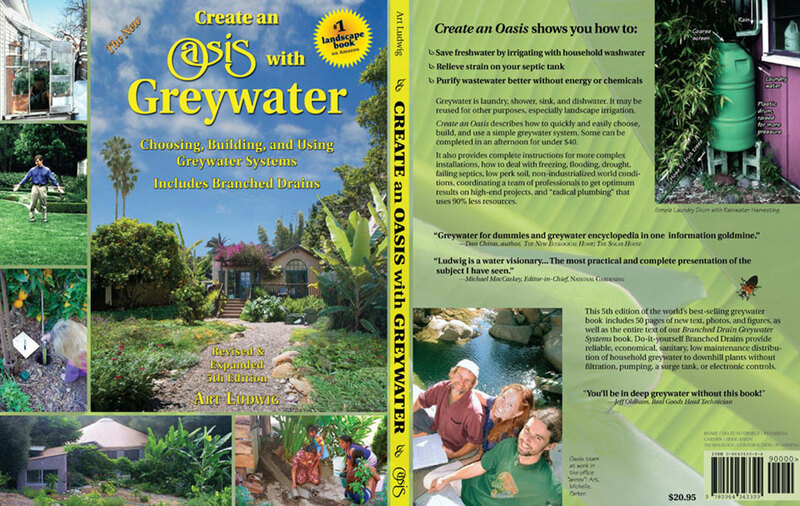 Create an Oasis with Greywater is the definitive work on the reuse and treatment of washwater. Ludwig has methodically researched the applicability and real-life performance of every possible greywater system, from the simplest to the most complex. Where existing systems fell short, Ludwig designed new ones which work better. The guide to common greywater mistakes and preferred practices debunks myths and guides the reader safely around pitfalls. The pros and cons of each system are clearly described, complete with known limitations and the degree to which they've proven themselves. 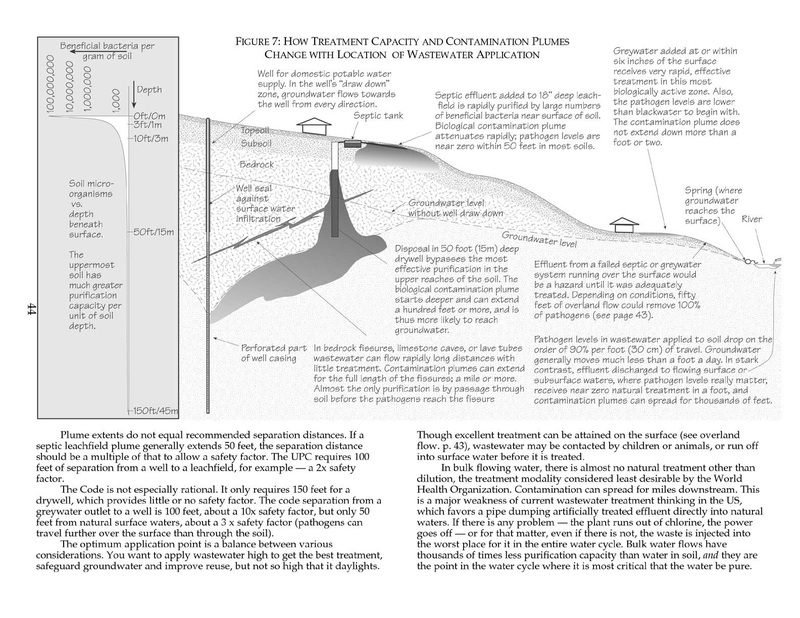 In a field where much of the "information" is unchecked wishful thinking, often repackaged attractively by salespeople, or authoritatively by bureaucrats, Create an Oasis with Greywater and the Builder's Greywater Guide really stand out. In addition to being well-researched and well-produced (Oasis Design books are meticulously published deadline-free, in house), the information is synthesized, edited, distilled, and redistilled so everything is there which could help, and nothing is there which could lead you astray. If you're interested in greywater, you need this book. Author: Art Ludwig. Oasis Design, September 2015. 8.5x11, 162 pages, 300 figures & photos. ISBN 978-0-9643433-3-7. $22.95. Ecological designer Art Ludwig consults internationally on the design of water, wastewater and solar energy systems, as well as efficient fixtures, and edible landscapes. He has designed four new types of greywater systems, and formulated the first plant and soil biocompatible cleaners. He lives with his family among forty varieties of fruit trees in the mountains behind Santa Barbara, California.